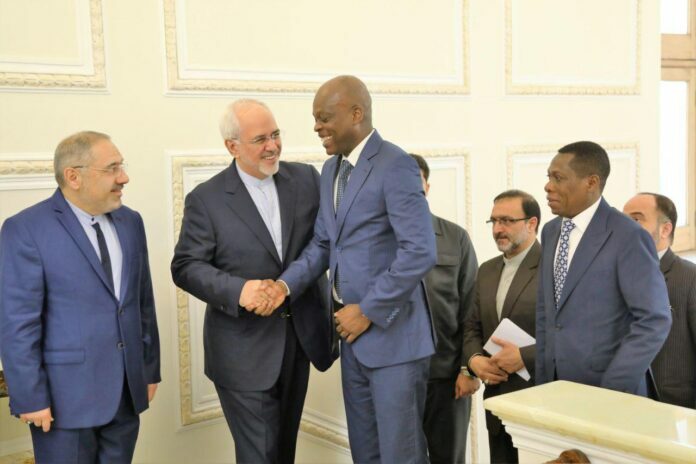 Iranian Foreign Minister Mohammad Javad Zarif in a meeting with his counterpart from Togo voiced Tehran’s willingness to promote its ties with Lomé. During the Saturday meeting, Zarif touched upon good relations between the two countries and noted that Iran is interested to boost ties with Togo in political, economic and cultural areas. The Iranian foreign minister also said Tehran stands ready to cooperate and exchange views with Lomé on the fight against terrorism and extremism. Togo’s Foreign Minister Robert Dussey, in turn, said he was pleased to be on a visit to Iran. He said Togo is also interested to forge closer cooperation with Iran on all fronts, and stressed that he would like to see Iranian corporations expand their economic activities in his country. The two sides further stressed the need to work together closely in international organizations, particularly the United Nations and the Non-Aligned Movement (NAM). Elsewhere in the meeting, the Togolese foreign minister also handed over to Zarif a message from his country’s president for President Hassan Rouhani.